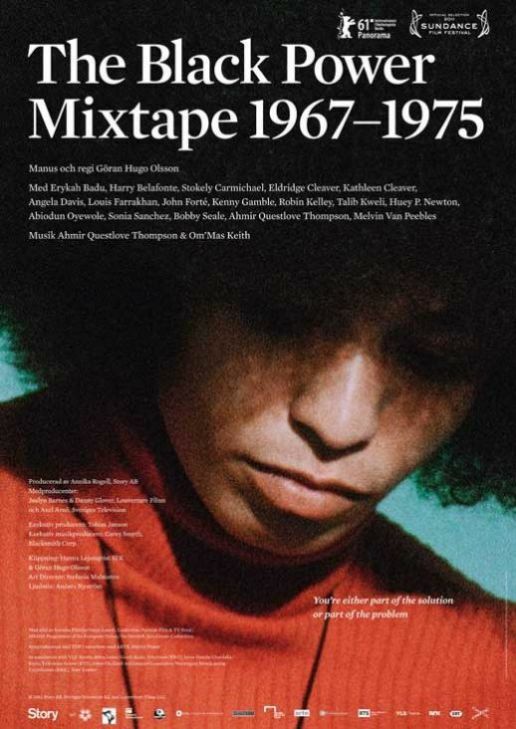 This week I went to see Black Power Mixtape 1976-1975 at the Shattuck Cinema and it was definitely a powerful and knowledgable evening of history. This documentary was created by a Swedish filmmaker by the name of Goran Hugo Olsson who came to America to seek out change, progress, and document the movement that will forever go down in American History. Angela Davis, Huey P. Newton, Bobby Seale, and Stokely Carmichael were amongst the few interviewed on never before seen footage. Schools today still can’t give the real message or the proven words of Black Power without stepping out of your comfort zone of the history books and into the real world of African-Americans. I honestly didn’t know too much about Stokely Carmichael, but that his beliefs of non-violence were similar to Martin Luther King Jr. In the documentary, you have a chance to capture his character and philosophy through an interview with his mother. He asked her questions where she seemed to show passive comfort to racism and he gently fired back with more questions that gave her a since that her answers, “because I’m black” were not acceptable to the human race. The footage of Angela Davis in jail shows another perspective of activism and the message she gives about her upbringing and how growing up in Alabama, has shaped her beliefs is powerfully illustrated in this interview. Although at times I wish it were a bit more graphic and gave further explanation in some scenes I’d give this film 4.5 stars! The commentators, Talib Kweli, Kathleen Cleaver, Harry Belafonte, and Erykah Badu, spoke of the leaders and time period and also shared their personal thoughts about the black political issues of 1967-1975. I highly suggest that you go see this while it’s in selected theaters because it will definitely provide a wake up call for our generation. Check your local listings here & do share your thoughts!